We are always seeking for better ways to save weights and adding color matching components to our bikes. Their size and shape are the exact same. 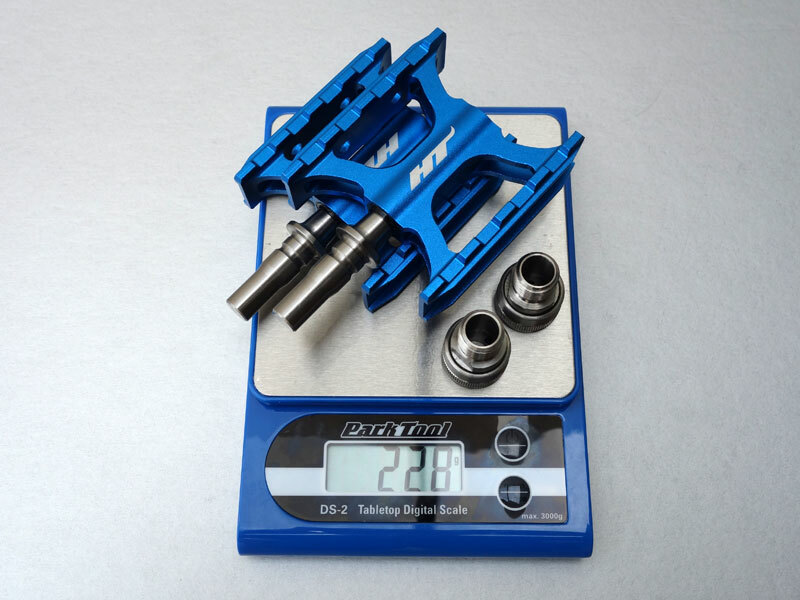 MKS Compact EZY removable pedals, famous for its light weight (307 grams per pair), simple and classic Ti/Silver color design. They are one of the most widely used removable pedals out in the market. 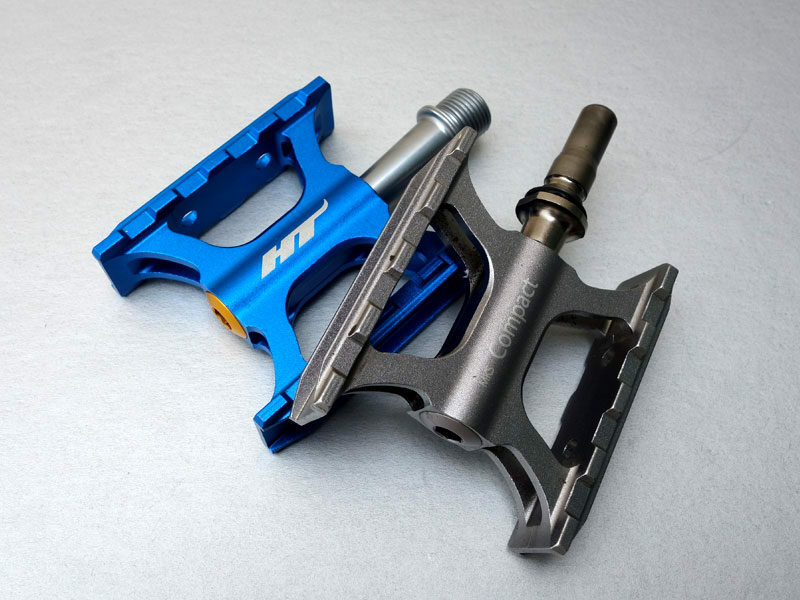 We were recently shared that the Cheetah compact pedal (AR-01) by HT components shared the same built as the MKS Compact EZY pedals in every dimensions, but without the removable mechanism. There are 7 colors that you can choose from. 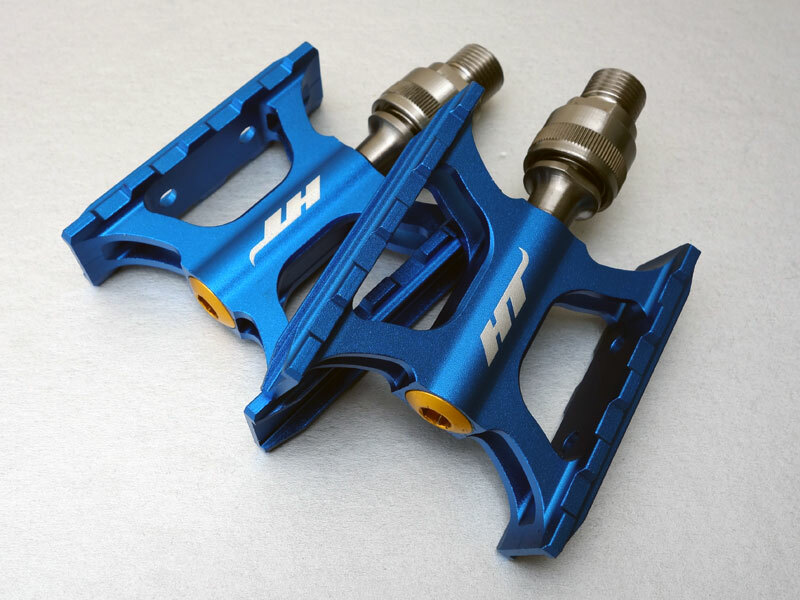 With the little help from our MKS Compact EZY replacement Ti Axis product (tpw_A190), the HT’s Cheetah compact pedals can be converted to a pair of super lightweight pedals that is removable, and have the widest choice of colors. The out of the box pair of MKS Compact EZY weight around 307 grams. 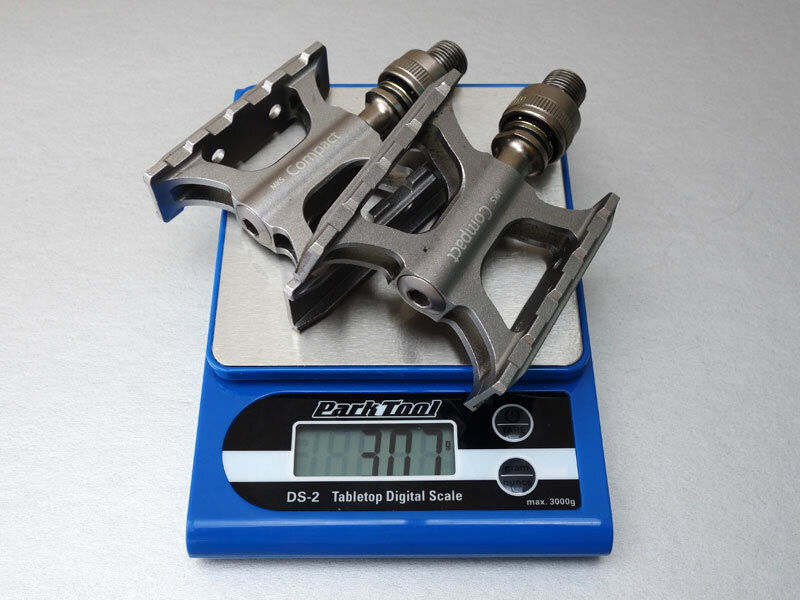 The enhanced pair of HT pedals weight only 228 grams. 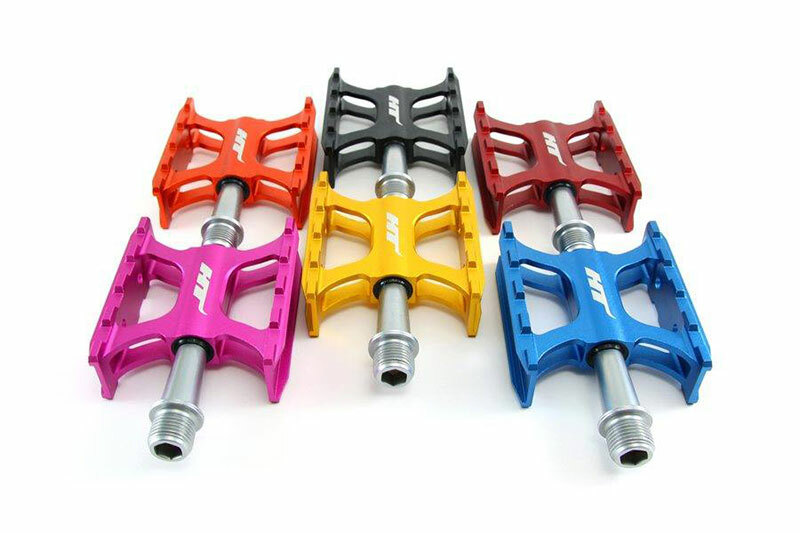 The HT pedals are coming in all different colors. This entry was posted in Brompton, Brompton Ti Parts, Product. Bookmark the permalink.